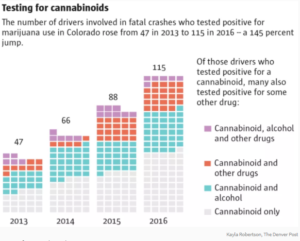 Marijuana is figuring into more of Colorado’s fatal crashes overall. 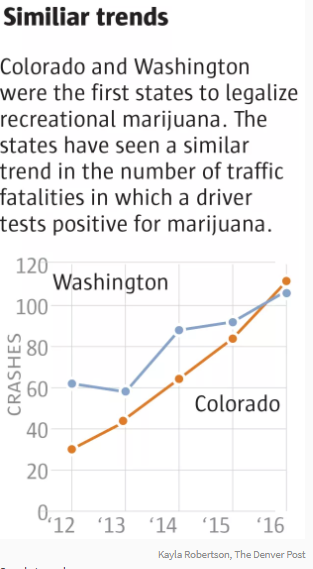 In 2013, marijuana-impaired drivers accounted for 10 percent of all fatal crashes. By 2016, it was 20 percent. 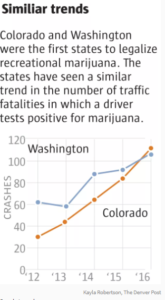 More Colorado drivers are testing positive for marijuana alone. Of the marijuana-impaired drivers involved in fatal crashes in 2014, about 52 percent had no alcohol in their system. By 2016, it had grown to 69 percent. 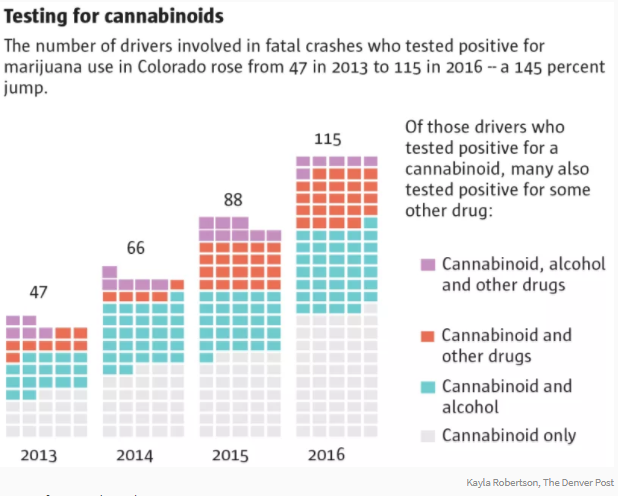 In Adams County, Colorado’s fifth-most populous county, marijuana-impaired drivers killed in crashes only occasionally showed THC levels higher than 5 ng/mL in 2015. In 2016, these levels routinely reached more than 30 ng/mL. Over the next year, SAM will continue to monitor and act on this issue in all states and organize relevant partners for action. In addition to increased drugged driving crashes, research demonstrates that marijuana legalization is producing a significant increase in other health and safety costs. For example, states with legal marijuana are seeing an increase in youth marijuana use. States that have legalized marijuana have also failed to shore up state budget shortfalls with marijuana taxes, continue to see a thriving illegal black market, and are experiencing unabated sales of alcohol, despite campaign promises from advocates promising that marijuana would be used as a “safer” alternative instead.